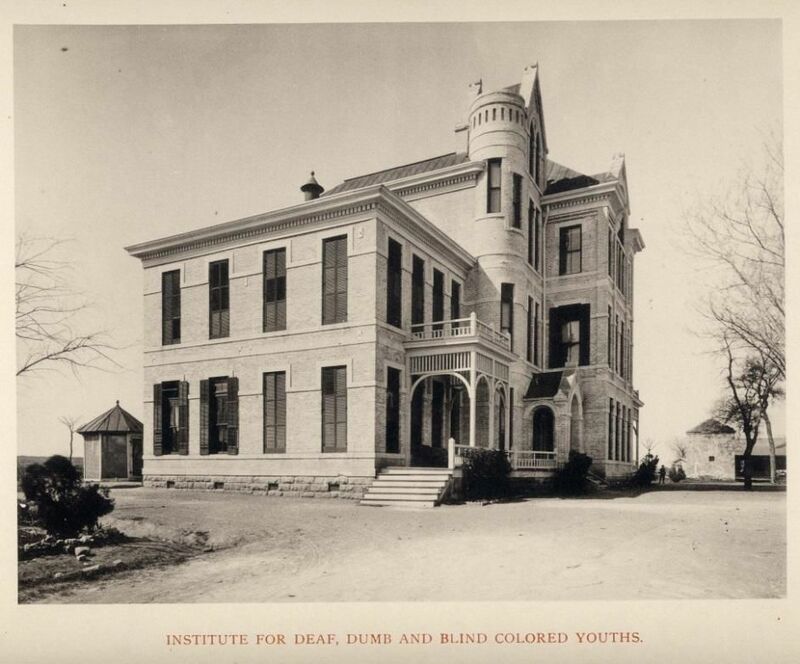 Institute for Deaf, Dumb, and Blind Colored Youths. Image available on the Internet and included in accordance with Title 17 U.S.C. Section 107. University of Texas Medical Branch, Original 1891 Building that housed the Library Collection. Courtesy of the University of Texas at Austin. Image available on the Internet and included in accordance with Title 17 U.S.C. Section 107. MEDICAL LIBRARIES. The impetus for development of medical libraries in Texas came first from local and state medical societies. In 1848 an unsuccessful charter petition to the state legislature by a group of Galveston physicians called for the establishment of a local medical society that would include a library. The secretary of the Texas State Medical Association reported in 1887 that he had 537 books belonging to the society but that he was unable to obtain even a bookcase for them. Later efforts were more successful, and in 1889 the Travis County Medical Society and the Austin District Medical Society assessed each of their members to finance a joint medical library. The medical societies were joined by state hospitals and schools in the establishment of patient and teaching libraries. Among those to establish libraries before 1900 were the North Texas Hospital for the Insane, the Texas State Lunatic Asylum, and the state Institute for Deaf, Dumb, and Blind Colored Youths. The opening of Galveston Medical College in 1865 and its successor, the Texas Medical College and Hospital, in 1873 did little to develop academic medical libraries. It is unlikely that either institution had a library. It was not until the opening in 1891 of the state-supported University of Texas Medical Department in Galveston that the first academic medical library in Texas was established. Scott and White Memorial Hospital, Temple. Image available on the Internet and included in accordance with Title 17 U.S.C. Section 107. 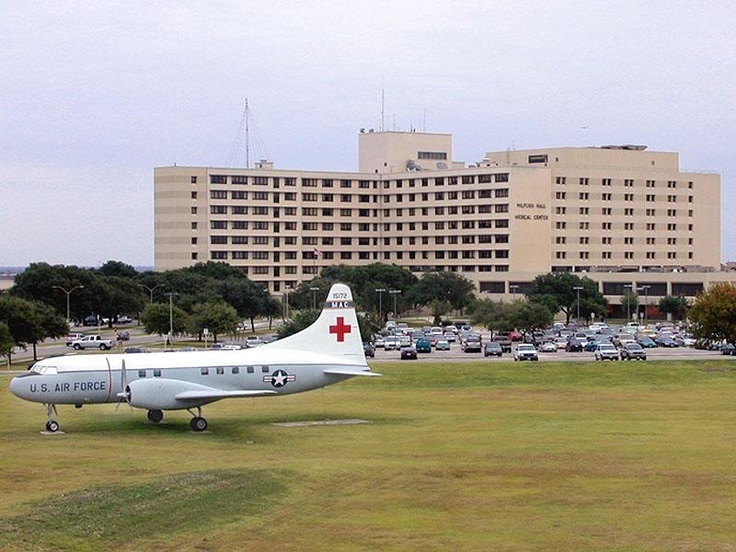 Wilford Hall Medical Center and Library at Lackland Air Force Base. Image available on the Internet and included in accordance with Title 17 U.S.C. Section 107. Houston Academy of Medicine Texas Medical Center Library. Courtesy of the National Network of Libraries of Medicine. Image available on the Internet and included in accordance with Title 17 U.S.C. Section 107. By 1900 the Medical Branch Library of the University of Texas had over 2,600 volumes, an appropriation of $4,000, and a position for a librarian. The first half of the twentieth century saw the continued establishment of medical libraries by universities, hospitals, societies, and United States military hospitals and training centers in Texas. Among those libraries formed were the Baylor University College of Medicine Library (1900, Dallas), Scott and White Memorial Hospital Medical Library (1904, Temple), Bexar County Medical Library Association (1912, San Antonio), Brooke Army Medical Center Library (1914, Fort Sam Houston), William Beaumont Army Medical Center Library (1922, El Paso), Texas Medical Association Memorial Library (1922, Fort Worth), Stimson Library, Academy of Health Sciences (1932, Fort Sam Houston), University of Texas Dental Branch Library (1943, Houston), and Wilford Hall United States Air Force Medical Center Library (1950, Lackland Air Force Base). Since 1950 the major growth of Texas medical libraries has occurred in the academic medical libraries. As late as 1966, however, not a single academic medical library in Texas met minimum national standards for library service, which required a collection of at least 100,000 volumes to serve an average university medical center. Yet, by 1984, Texas academic medical libraries were among the leaders in the nation. Credit for this rapid growth must be given to federal legislation, the state-supported universities that allocated increased funding for library services and resources, and private foundations. UT Health Science Center. Courtesy of the UT Health Science Center San Antonio. Image available on the Internet and included in accordance with Title 17 U.S.C. Section 107. Since 1965 increased attention has been given to interlibrary cooperation through the Texas Council of Health Science Libraries, Incorporated, and its successor, the South Central Regional Medical Library Program, located at the Houston Academy of Medicine. The regional library serves Texas, Arkansas, Louisiana, Oklahoma, and New Mexico. It is also affiliated with the National Network of Libraries of Medicine. Other library networks in the state include Healthline in Dallas and Health-Oriented Libraries of San Antonio. The UT Health Science Center at San Antonio also sponsors the Circuit Librarian Health Information Network, which distributes information in the lower Rio Grande valley. Cooperative goals of these groups include interlibrary loan, outreach programs, consultation, union lists, training, and collection development. Unfortunately, in spite of these cooperative network efforts, providing medical information to health-care professionals in rural areas still remains difficult. Violet M. Baird, "Books and the Doctor in 19th Century Texas: Some Early Attempts to Establish Medical Libraries," Bulletin of the Medical Library Association 56 (October 1968). David A. Kronick, "Health Science Libraries," in Resources of Texas Libraries, ed. Edward G. Holley and Donald D. Hendricks (Austin: Texas State Library, 1968). Handbook of Texas Online, Larry J. Wygant, "MEDICAL LIBRARIES," accessed April 26, 2019, http://www.tshaonline.org/handbook/online/articles/sbm06.